You don’t need to travel for thousand miles to find incredible hidden treasures… they are already all around you! 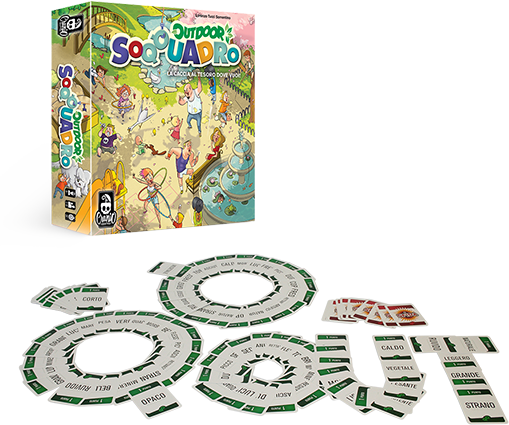 Soqquadro Outdoor expands the game playground to the limits of the place where you will play. A garden, a beach, a mountain park or your house, anywhere could be a fantastic world to discover. Run around and find an object that satisfies the requirement of the card you have drawn. Be faster than your friends and try to collect as many objects as possible! Combine physical velocity and mental tranquillity to become the more proficient treasure researcher around!